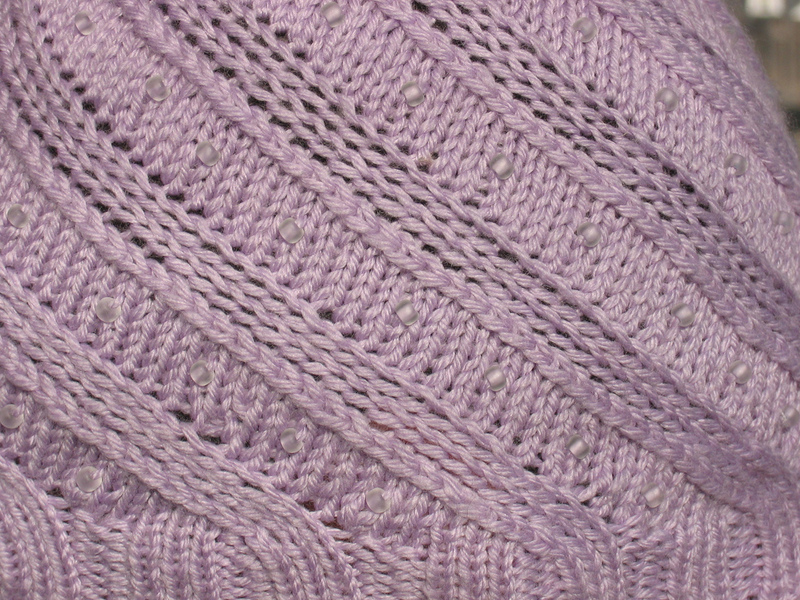 I finished knitting a birthday present for one of my college friends. 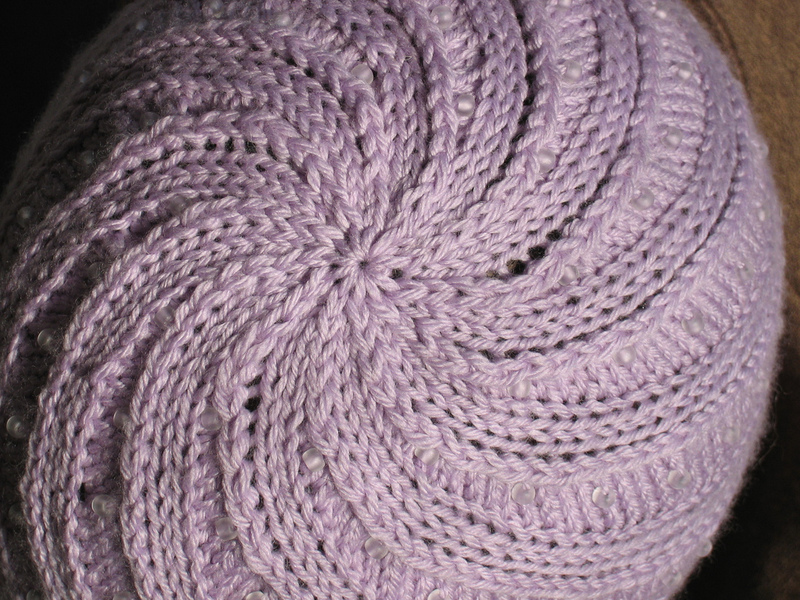 She's getting an Odessa hat knit in lilac with some frosty white beads. 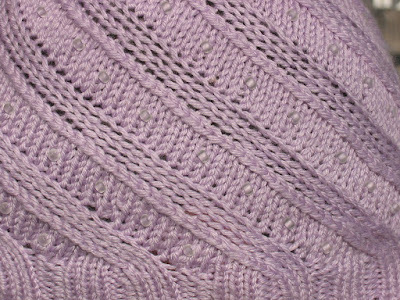 It took quite a long time to knit. I learned that I'm not a big fan of stringing 150 beads before knitting, it's a lot of work to move them every time you need a few more inches of yarn. But for this pattern its necessary to work like that, and I think the results are worth it. 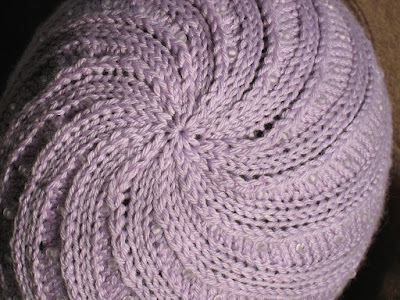 I tried not yarning-over (instead just picking up stitches on the next row) for the first row to avoid some of the gaps that I've seen in other Odessa hats, and I think it worked.